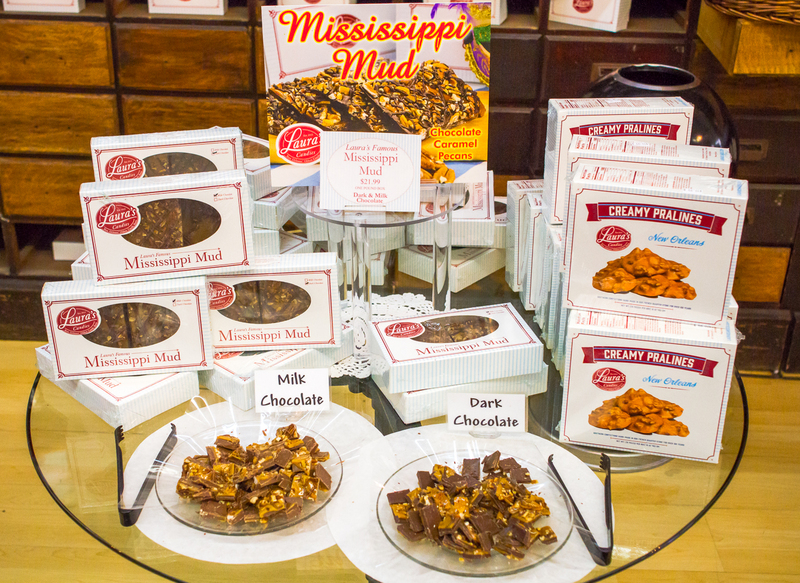 Mississippi Mud is a Laura's original. We have the name trademarked with a National and Local trademark just because we think it is that special. Mississippi Mud is made with layer upon layer of chocolate, caramel, pecans, and more chocolate. This decadent bark is a true Laura's Candies Original. We always have plenty of FREE SAMPLES of our MUD in our stores. Come by for a taste. Sold in approximate 1 pound increments (4 piece box) and available in milk or dark chocolate.